Twins Alfie and Alfreeda must keep Molly, a West Highland terrier, clean and white. Molly is going to be in her owner's wedding tomorrow! But the little terrier can't stop digging in dirt and mud. 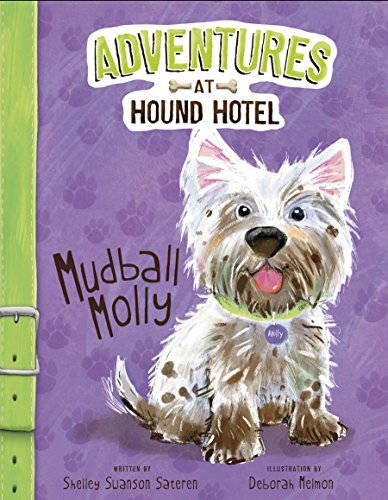 That's trouble enough until Molly buries the bride-to-be's wedding ring in Hound Hotel's doggie play yard! Which twin will save the day and find the missing ring? Shelley Swanson Sateren is the award-winning author of many children’s books. She has worked as a children’s book editor and in a children’s bookstore. Today, besides writing, Shelley works with elementary-school-aged children in various settings. She lives in Saint Paul, Minnesota, with her husband and two sons.